Take on colossal beasts in a living, breathing environment. 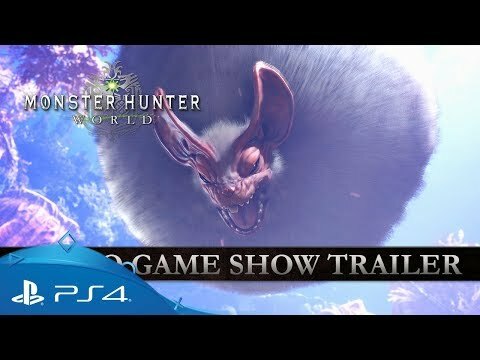 Embark on a perilous hunting expedition into a newly discovered continent known only as ‘The New World’ and prowl its uncharted wilds in search of the land’s most ferocious beasts in Monster Hunter: World. 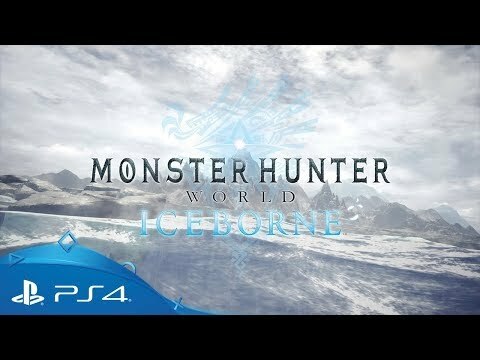 Each new foe you discover will pose a unique challenge, demanding careful planning and a hunter’s instinct to bring it down. Use any number of a vast array of traps, lures and weapons as well as the living ecosystem around you to overcome your quarry. Carcasses can be harvested for materials to upgrade and augment your arsenal while the environment itself can tip the battle in your favour, providing cover and vantage or even allowing you to pit monsters against one another. This world is yours to explore as you choose, either as a lone warrior on the path to glory or with up to three other players online in drop-in, drop-out cooperative play. As part of a special collaboration, you'll be able to explore Monster Hunter: World as Horizon Zero Dawn's machine-hunting hero Aloy. Complete sets of Nora warrior armour, unique weapons and even outfits for your Palico will be yours to track down in special, forth-coming events. No self-respecting monster hunter heads out into the world without their Palico companion close at hand. 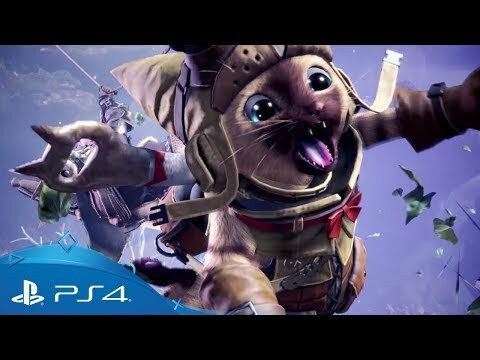 Small but mighty, these sentient, cat-like creatures are a signature of the Monster Hunter series, aiding you with every part of your hunt, from scavenging and tracking, to the final showdown. Discover the new and return elder dragons that you'll be able to encounter in Monster Hunter: World. Meet your adorable new team mate, the incredible Palicos! 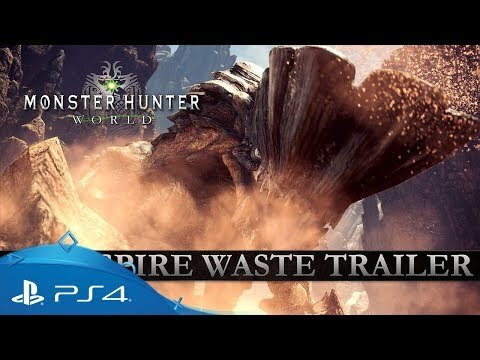 Venture into uncharted territory and blistering heat in Wildspire Waste in Monster Hunter: World. 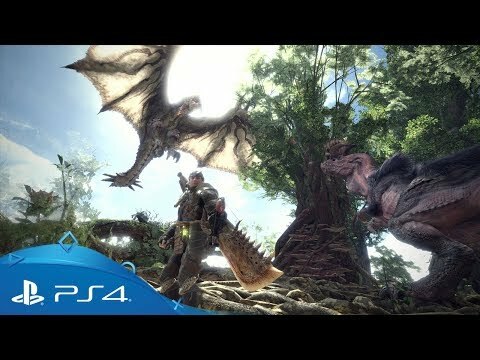 Get your look at the latest Monster Hunter title coming to PS4. The complete base game featuring a huge world to explore, hours of single player content and online multiplayer. 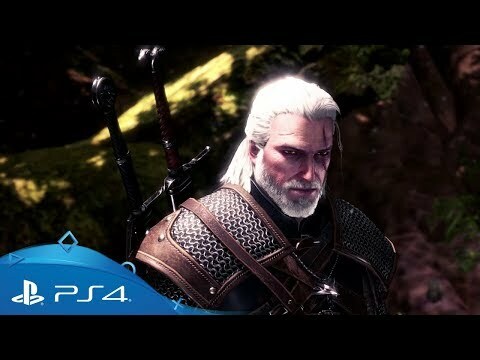 The complete base game along with additional armour, gestures and 14 special avatars. 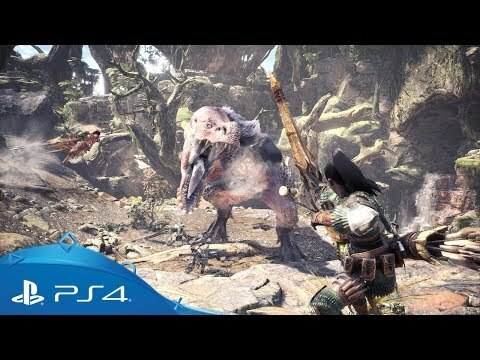 Band together with up to three friends and work together to bring down the biggest and baddest creatures in Monster Hunter: World. Celebrate the launch of Monster Hunter: World with this limited-edition, super-charged PS4 Pro. 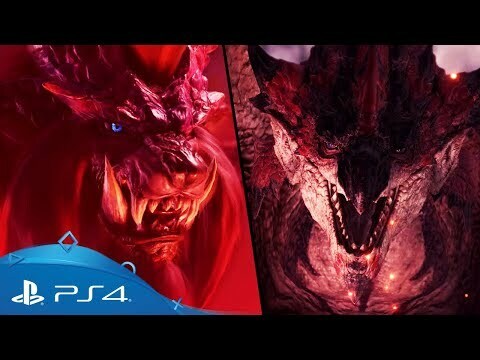 Customised with unique artwork of the fire wyvern 'Rathalos', the bundle comes complete with fiery red Dualshock 4 controller and a standard edition of the game. 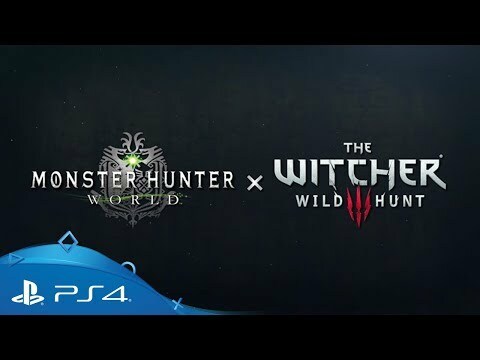 On top of this, you’ll also get voucher codes for an in-game Origin Armour Set, Fair Wind Charm Talisman and a Monster Hunter: World dynamic theme. On the look out for a big game?